Last week, the 2019 Impact Prospects detailed lesser-known potential impact prospects. 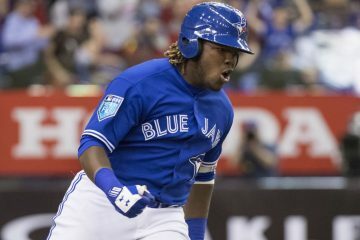 This week, I will explore lesser-known potential breakout prospects outside the top 200 in the 2019 Top 500 Fantasy Prospects. In this context, a “breakout” simply means these prospects will greatly improve their fantasy stock over the next year. Some may even vault onto top 100 lists or higher. Lost behind other notable Low-A catchers (Ronaldo Hernandez, M.J. Melendez, William Contreras, and Miguel Amaya), Luis Campusano quietly enjoyed a strong full-season debut in the Midwest League (.288/.345/.365 with 106 wRC+). In fact, he was the first catcher selected in the 2017 Draft, ahead of M.J. Melendez. While he did not show much game power last year, Campusano possesses plus raw power potential and a quick bat. Further, he impressively limited swing-and-miss (15.1% strikeouts and 9.4% swinging strikes) and showcased a better hit tool than advertised. Unfortunately, a concussion prematurely ended his season in late July. This year, the Padres likely assign Campusano to the more hitter-friendly confines of High-A California League, where he may be the next young catcher to breakout. Last year, Alejandro Kirk outperformed Wander Franco in the Appalachian League (.354/.444/.558 with 160 wRC+)! In addition, he posted an incredible 21-to-33 strikeout-to-walk ratio with just 5.1% swinging strikes. What is not to like?! The big issue for Kirk is his size (5’9″ and 220 pounds). Indeed, Fangraphs notes one source compared him to Chris Farley. This is obviously not an ideal body composition for a professional athlete (see Astudillo, Willians). Regardless, Kirk has shown exceptional promise with the bat and, if he continues to hit in Low-A, it will become easier to overlook his build. On the other end of the size spectrum, Gabriel Moreno is lithe (5’10” and 160 pounds) and athletic. Between the Gulf Coast and Appalachian Leagues, he hit .359/.395/.575 with just 12% strikeouts. Moreno possesses advanced bat-to-ball ability and plus bat speed, generating tons of hard, line drive contact (25.6%) to all fields. The Reds quietly acquired Ibandel Isabel from the Dodgers early last year. An extreme power-hitter, he arguably possesses as much raw power as any prospect in baseball. Over the last three years, Isabel has amassed an otherworldly 36.5% home run-to-fly ball ratio. This year, he set the home run record in the Florida State League (35), leading the league by 15 home runs! With his massive power, however, comes massive swing-and-miss (36.2% strikeouts and 20.2% swinging strikes). Given his age (23), defensive limitations, and highly questionable hit tool, Isabel is a long shot to become a productive major league asset. The power, though, makes him a worthwhile speculative fantasy investment. Last year, Ryan Noda was the top hitter in Low-A Midwest League (160 wRC+) and lead the minors in walks (109, 20.7%). Further, he flashed plus raw power to all fields (18.7% HR/FB). Meanwhile, he also suffered a decent amount of swing-and-miss (25.6% strikeouts and 12.8% swinging strikes), while being old for the level (22). Ultimately, Nola is a prototypical three-true-outcomes slugger without defensive value. While this profile has a low real-life success rate, it can carry significant fantasy value. Built like a NFL lineman (6’3″ and 264 pounds), Curtis Terry has power to match his size. Although he won the MVP of the Northwest League (.337/.434/.606 with 186 wRC+), he remains a forgotten prospect. Terry not only hit for power (26.3% HR/FB), but made a ton of hard contact (28.3% line drives) and limited swing-and-miss (9.4% swinging strikes). Still just 22 years old (despite a lengthy 4-year stay in short season ball), he will finally debut in full-season Low-A this year. As a potential DH-only prospect, Terry likely will never receive much attention, but his bat could be special. 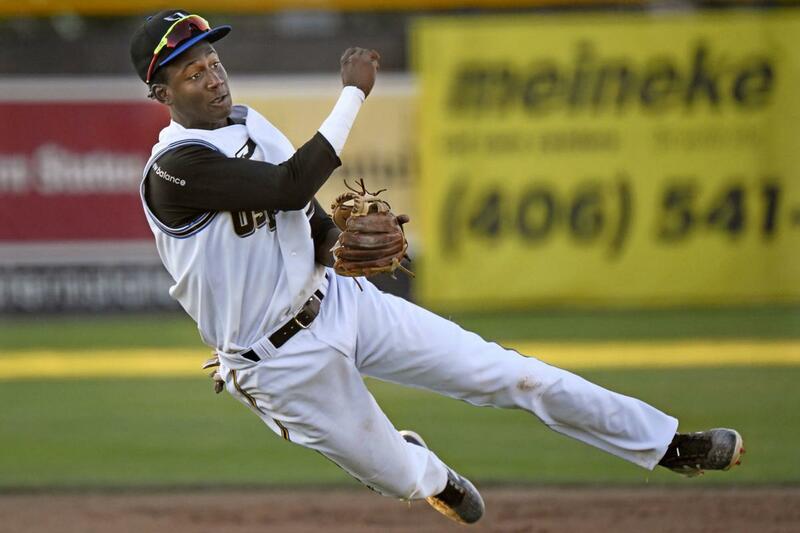 The brother of Blue Jays prospect Joshua Palacios, Richard was a third round pick in the 2018 Draft. An elite college performer, he hit .301/.457/.515 with 8 home runs, 25 stolen bases, and a 16-to-52 strikeout-to-walk ratio in his junior year. Further, Palacios has a strong track record with wooden bats, most recently hitting .278/.336/.376 in the Cape Cod League. As such, it came as no surprise he dominated the lower minors in his debut (.361/.421/.538). Palacios is a disciplined, line-drive hitter with modest power and an efficient, plus runner. Over the past two years, Tucupita Marcano has finished among the minor league leaders in strikeout-to-walk ratio (15-to-34 in 2017 and 16-to-30 in 2018). His high-contact, disciplined approach belies his age (19), and leads many observers to assign a future 60-grade to his hit tool. Further, Marcano has above-average speed and enough pop to keep pitchers honest. Whether he develops more power is questionable given his narrow, 6’0″ frame, but his hit tool paired with his speed provides a fairly high fantasy floor. Should he develop double-digit home run power, Marcano is a potential top 50 prospect. The Astros acquired Luis Santana from the Mets for J.D. Davis this January. In his brief professional career, he has never failed to hit, including an impressive .348/.446/.471 line in the Appalachian League. Like Marcano, Santana exhibits a mature, high-contact approach with limited swing-and-miss (9.5% strikeouts and 6.5% swinging strikes). However, he has a small, nearly fully-developed 5’8″ frame, which does not promise much power potential. Still, Santana can hit, he has some speed, and some pop. The player-to-be-named-later in the Keone Kela trade with the Pirates, Sherten Apostel is an abundantly projectable, 6’4” slugger. Already, he flashes big power (22.8% HR/FB) and he projects to plus or better raw power at maturity. In addition, he displays an all-fields, patient approach (18.3% walk rate) and very reasonable swing-and-miss given his long levers (11.6% swinging strikes). At his best, Apostel looks the part of a future fantasy superstar with an average-to-above hit tool and plus game power. However, his swing length gives pause on such an aggressive grade for his hit tool and he likely will struggle with contact as he climbs the ladder. Ultimately, Apostel’s profile could develop any number of ways, and it is reasonable to expect a three-true-outcomes slugger at first base. Nearly two years after Miguel Vargas defected from Cuba, the Dodgers signed him for $300,000 in September 2017. In his debut, he obliterated the Arizona and Pioneer Leagues, before crashing and burning over his last 10 games in Low-A (2-for-27). Overall, Vargas showcased advanced hitting ability, with a disciplined, all-fields approach. In addition, he is projectable (6’3″ and 198 pounds), and observers anticipate he will develop average-to-above raw power. The older brother of fellow 2018 draftee Blaze Alexander, CJ was a 20th round selection from junior college. Like his younger brother, he had a fantastic debut (.352/.429/.495 with 27.3% line drives), even reaching High-A. His large 6’5” frame generates plus raw power, and he has sneaky hitting ability due to an efficient, all-fields stroke. Despite his lower draft position, Alexander has solid fantasy potential. Brayan Rocchio is a less-heralded member of a huge 2017 international class for the Indians, including Aaron Bracho and George Valera. While Bracho and Valera succumbed to injuries in their debuts, Rocchio blew through the Dominican Summer and Gulf Coast Leagues (.335/.390/.442). A switch-hitter, he has elite bat-to-ball skills and barrel control from both sides of the plate. As such, many project him to be a plus hitter with plus speed. Additionally, he has plenty of remaining projection (though, a narrow frame) to develop double-digit home run power. In his stateside debut, Geraldo Perdomo made quick work of three short season levels (.322/.438/.460). A switch-hitter, he makes consistent hard contact to all fields from both sides of the plate. Further, he has solid power potential, emanating from his projectable 6’2″ frame. Not only can Perdomo hit, but he can also field, making him a prime candidate to fly up rankings. The Tigers signed Perez for $550,000 in 2016. In his stateside debut this year, he blitzed through three levels to full-season Low-A (.312/.363/.429). Notably, Perez displayed a potential plus hit tool, with a disciplined, high-contact approach and a feel for all-fields contact. In addition, he has plus speed and athleticism, and most observers project him to stick at shortstop long-term. Whether he develops meaningful power is uncertain, and, currently, his raw power is well-below-average. The Cardinals acquired Jhon Torres from the Indians as part of the package for Oscar Mercado. After joining his new organization, he laid waste to the Gulf Coast League (.397/.493/.683). Torres is a potential special bat, with the ability to hit and hit for big power. At just 19 years old, Moises Gomez was one of the top hitters in the Midwest League (.280/.328/.503). He is a prototypical corner outfield power hitter with plus raw power and a leveraged swing to tap into most of it. An aggressive hitter, however, Gomez suffers substantial swing-and-miss (26.6% strikeouts and 16.8% swinging strikes). A first round pick from the 2016 Draft, Dylan Carlson quietly made a lot of progress this year. Specifically, he significantly reduced his swing-and-miss (17.7% strikeouts and 11% swinging strikes) and boosted his game power (.144 ISO and 9.2% HR/FB), all while playing in the Florida State League. The former reliever flourished last year in his transition to a starting role (2.60/1.14 ERA/WHIP with 155 strikeouts in 128 innings). Most importantly, his repertoire matches his performance, with a mid-90s fastball and three average-to-above secondaries (slider, curveball, and splitter). While his control is solid (8% BB), Tony Gonsolin has below-average command and a high-effort delivery. At just 18 years old, Roansy Contreras breezed through the New York-Penn League and Low-A (2.42/1.03 ERA/WHIP) behind a huge, mid-to-upper-90s fastball and a power curveball. However, his size (6’0″) and present command are not ideal. A first round pick in the 2017 Draft, Clarke Schmidt did not make his professional debut until last June due to recovery from Tommy John surgery. Based on early results, it appears his stuff has fully returned, including four potential average-to-above offerings (low-to-mid-90s fastball, curveball, slider, and change-up). Like Schmidt, Jordan Holloway missed most of the season due to recovery from Tommy John surgery. His recovery and brief, five-game return last year went so well the Marlins added him to the 40-man roster. Indeed, Holloway has an electric arm, dialing up upper-90s fastballs and a potential plus curveball. Should his change-up and command improve, he is a potential top-of-the-rotation arm. A projectable 6’4″ left-handed pitcher, Brailyn Marquez already sits in the mid-90s with a promising curveball, change-up, and command. A future closer, Burdi unfortunately underwent Tommy John surgery in July 2017. When healthy, he possesses an elite, upper-90s fastball, a wipeout slider, and a tumbling changeup. 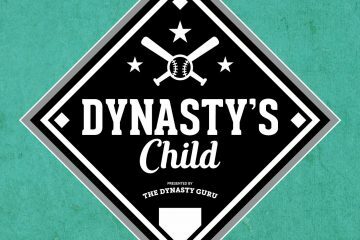 TDG's Triple Play: The Baltimore Orioles!